I have no doubt that Kingcorn is perhaps the most delicious corn preparation which I have ever tasted... well considering those also sold at the mall and on the street. 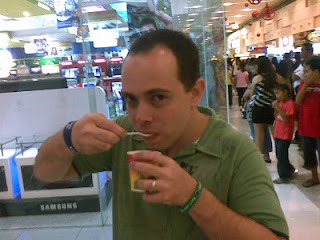 It's taste was really mouth watering and makes you crave for more. a. Packaging: 6. Very ordinary packaging though the cups definitely contributes to trash and environmental problems. b. Product Cost: 10. Very affordable and well the taste will make you satisfied. c. Uniqueness: 9. It is not a unique preparation of coin but again the taste and flavoring really makes it unique. d. Popularity: 7. For me King Corn is popular already but I do not know if others share that opinion. e. Brand positioning: 8. I do not see any other type of product like this at SM Malls nor on other malls so I would say they have a high chance for their product. f. Usability: 7. It's a good food for snacks. g. Effectiveness: 8. It is a very good way of enjoying corn with a twist of unique flavor. h. Product Access: 10. 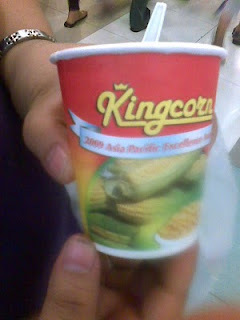 King Corn is available in all SM Malls nationwide as well as in other locations. i. Advertising: N/A. I cannot comment yet on the advertising of this product since I have no information on this matter.